The Army High Command has reportedly ordered the arrest of a general who, along with his troops, ran away from Boko Haram. A Nigerian Brigadier-General is facing arrest after he allegedly ran into a bush with his troops to escape Boko Haram, Vanguard reports. The Army High Command has reportedly ordered the arrest of the general who is said to be attached to the 3rd Division of the Nigerian Army. The senior officer was accused of negligence and setting a bad example after he fled from an attack in Bama, Borno state leading the soldiers under his command to do the same. The Boko Haram members then had free reign and looted the Brigade Headquarters and Armoury taking away vehicles and tanks. The fleeing soldiers were reportedly rescued from their hiding place by a battalion deployed to the Konduga area after which they went to Maiduguri instead of joining the fight against the terrorists. 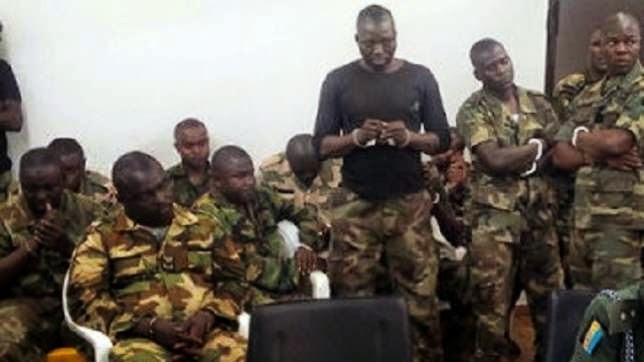 The military has sentenced 12 soldiers to death for mutiny against their commander while fighting against Boko Haram and an additional 97 are being tried for similar offences.